There’s only one 14,000-foot peak in Colorado that you can reach by driving all the way up to the summit. 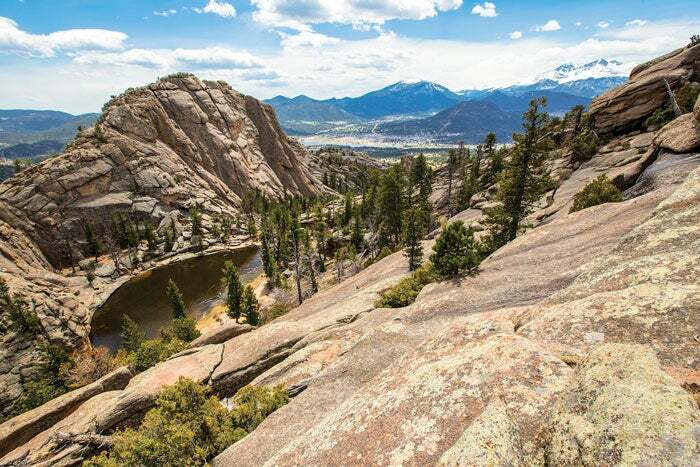 Want to reach the summit of one of Colorado’s famous 14,000-foot peaks the easy way? Point your wheels to the Pikes Peak Highway. You’ll drive a stunning 19 miles up Pikes Peak, beginning at 7,400 feet and ending at the top of the 14,115-foot summit. It’s one of North America’s most visited mountains. Keep your eyes peeled for bighorn sheep, elk, deer and yellow-bellied marmots. Along the way, stop at the many pull-offs, including three lakes where you can fish or kayak. Don&apos;t forget to purchase a Colorado fishing license in town to fish. There’s also the Crystal Reservoir Visitor’s Center with ranger-led talks at mile marker 6, the historic Glen Cove Inn with ranger programs, a dining area and gift shop at mile marker 13 and the Summit House at the top. The Summit House is known for its "world-famous" donuts but also serves burger, hot dogs, salads, coffee and more. Allow for at least two to three hours for this adventure: you’ll spend about an hour each way driving, depending how often you stop. And be sure to fill up your gas tank before you reach the Pikes Peak entrance. There’s no gas station on the road, and you’ll need a minimum of a half tank of gas for the entire trip. At the top, head to a “Meet the Ranger” program to learn more about this gorgeous mountain’s history, geology, wildlife and beyond. If you begin to feel light-headed or dizzy, you may be feeling the effects of high altitude and should immediately go to a lower altitude. Drinking plenty of water before and during the drive can help combat the effects of altitude. Because this is not a national park, your national park pass will not work here. Prices are based on the season, so check the website to learn about fees for when you&apos;ll be visiting. This drive to a very high elevation is not recommended for infants under 6 months. The entrance to Pikes Peak-America&apos;s Mountain road is west of Colorado Springs. It&apos;s is at 5089 Pikes Peak Hwy., Cascade, Colo., 80809. Do the spectacular 6-mile Parameter Trail, then soak in the hot springs pool in this Victorian-era mining town surrounded by the San Juan Mountains. The Montrose area which offers world-class fishing and free cruiser bikes for the day. Then head to Colorado's deepest national park, Black Canyon of the Gunnison. 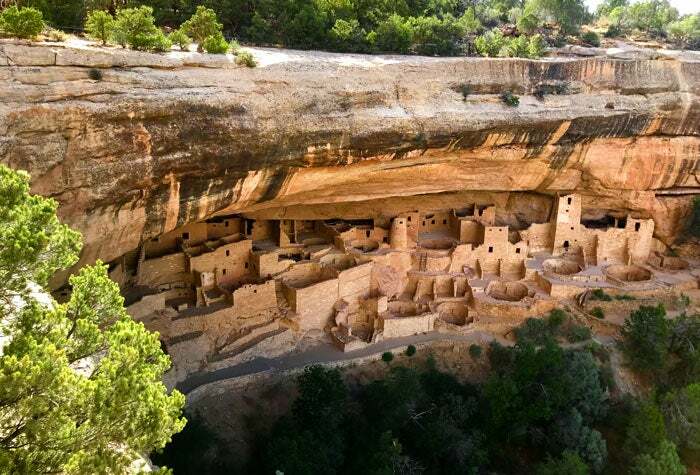 Visit western Colorado at the base of Grand Mesa, the world's largest flat-top mountain. Come enjoy the wine, fruit, cranes and the Black Canyon.